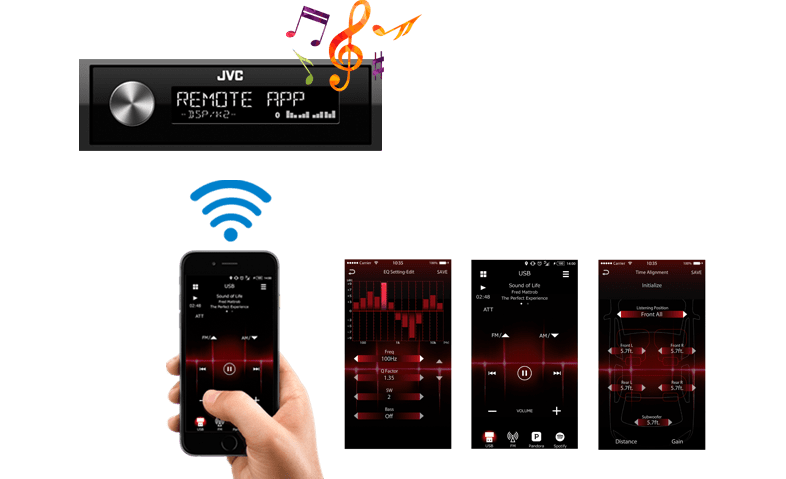 K2 is a JVCoriginal technology that reproduces the original master sound by expanding the bit rate and frequency range. K2 is compatible with all sources including CD. For example, K2 will expand the digital data of the audio CD recorded at 44.1kHz/16 bit to 48 kHz/24 bit, and recreate the high-frequency range above 20kHz that is cut during the CD formatting. 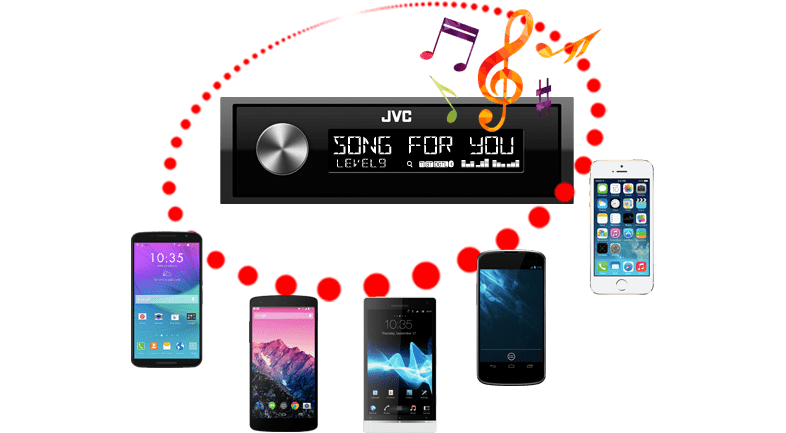 Listen to Pandora and iHeartRadio from your smartphone with smooth control on the receiver via USB or Bluetooth connection for iPhone, and via Bluetooth for Android devices. Remote control (RM-RK52) is optionally available.